Published: . Filed Under: Blogging, Education, From the Experts, Parenting. 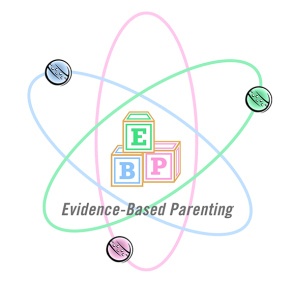 It’s our second edition of the Blog Carnival of Evidence-Based Parenting! If you’re new to our carnival — or blog carnivals in general — a blog carnival is a collection of posts from different bloggers, all of them centered around one theme. Parenthood is one of life’s biggest transitions. The arrival of a new baby brings physical, emotional, social, and economic changes to the parent, the couple, and the family unit. No one is short on advice for new parents. You’re told from the moment that you announce to anyone that you’re expecting a baby, “This will change everything.” Yet until you experience it for yourself, you have no idea what those pieces of parenting wisdom actually mean: for your daily routines, for your identity, for your physical and psychological health, for your marriage or relationship, for your friendships, and for your professional life. The transition to parenthood has been a topic that I’ve been thinking about for a long time, far longer than I’ve been a parent. My undergraduate sociology thesis was an interview study of a group of Connecticut mothers before and after the birth of their first babies. Over the course of several months, I interviewed them individually and with their husbands. As a senior in college, this was purely an academic (as well as fairly random) thesis topic for me. However, I found the changes to these women’s lives and identities to be fascinating and puzzling. Parenthood seemed so far into the future that I didn’t think too much about what that experience would be like for me. Now, so many years later, I’m actually older than most of my former study participants, and I can think back on these women’s experiences with much more empathy and understanding. Colic, the isolation of wintertime new motherhood, breastfeeding challenges… I get it now. And just like the experience of parenthood, which can be described by both commonalities as well as individual differences, this month’s contributors write about both common themes as well as fresh perspectives and new questions. As “evidence-based” writers, we’re trying to understand that variation in the experience, in addition to the complexity of factors that might influence the real-life circumstances of new parenthood. First, in her post, Momma, PhD outlines what new parents can expect for the new routines of parenting to become “habits.” She also contrasts the differences between the newborn period for a first child and a second. At Momma Data, Polly Palumbo offers caution to new parents about accepting the advice and accuracy of information from the “parenting media.” She tells us where new parents head to online to find out what they want to know about parenting and then describes why we should be skeptical about much of that information’s quality. At Red Wine and Applesauce, Tara Haelle tells us that it’s okay for maternal bonding to take a little time. New mothers often get concerned when they feel the intense bond with their baby that they’ve read about in magazines, but Tara describes how there’s a wide range of what is “normal” for new moms to feel. Blogger and dad Matt Shipman describes what makes a man “ready” for parenthood. (Hint: it’s not the same for all dads, and it’s a little different than it is for moms.) I was pleased to learn more about the experience of new fatherhood from the dad‘s perspective. At Slate, Melinda Melinda Wenner Moyer defends the practice of swaddling newborns. For many new parents — including me — swaddling can literally make the difference between a sleeping, soothed infant who stops crying and a colic nightmare. She examines the current debate about swaddling’s safety. On the The HerStories Project, a blog about new motherhood for which I am a collaborator, I take a closer look the confusing research about parenting and happiness. Are new parents really as miserable as much of the media and academia would have us believe? If they are, which parents are most unhappy and for how long? Over at Six Forty Nine, Jennifer Doverspike writes about cross-cultural differences in the postpartum “confinement” period. It turns out (not surprisingly) that American expectations for a new mom are not the same as cultures’. Do other cultures offer better ways of supporting new parents? Suzanne Barston of the Fearless Formula Feeder discusses the postpartum adjustment period and breastfeeding. She describes important research about the effects of breastfeeding difficulties on attachment and postpartum mood disorders. From the blogger and anesthesiologist at the Adequate Mother, we learn about the connections between birth experiences, labor, and trauma. As a mother who endured a completely unexpected and difficult emergency c-section birth, I can relate to much of her discussion about childbirth pain and delivery. I also share her hope for more discussion about the short-term and long-term consequences of childbirth. What was your experience of new parenthood like? We’d love to hear more about it! You can also “like” the Carnival of Evidence-Based Parenting on Facebook. Check out our Facebook page, and connect with all of us there! I can’t wait to read as many of these as possible! I loved your post on the HerStories site- great job! I have to try to come back tonight and take a look through some of these other posts, because I would love to see other parents take on how they first transitioned to parenthood. I can tell you it was so not easy for myself having my first (as I have mentioned before) having colic. And many days I still wonder if I am doing the right thing. I think parenting in general is a lifelong journey of learning from your mistakes, as well as what you have done right, too. But that is just me. Honestly, wonderful series and like I said look forward to read more from this, too!! Thanks so much Jessica for doing this. Can’t wait to read through these! Looking forward to it. Some really great topics and posts here, need to read!